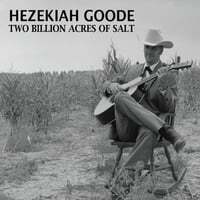 It's not hard to imagine Hezekiah Goode riding along the plain, running down a stray bull with a lasso in hand. He just sounds so much like what a cowboy should that I feel like that's just where he should be out on the ranch, not in a recording booth. But we're all better for it. Goode is a songwriter with a commanding presence, one we don't often see anymore. He's a mighty storyteller who can just as easily tease a laugh from you as he can a tear. His music pays homage to the original country greats without mimicking or sounding derivative. His voice is his own, and it's pretty great to listen to you.